The resignation came after as many as 20 women journalists accused M J Akbar of sexually harassing them during his stint as journalist. 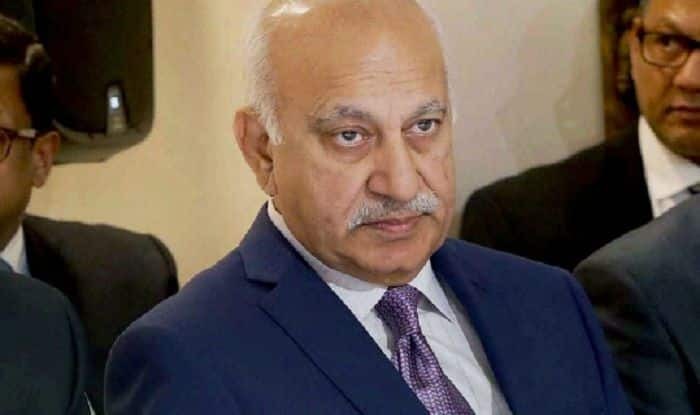 New Delhi: Amid more and more women journalists coming out with allegations of sexual harassment against M J Akbar, the Union minister on Wednesday resigned as the Minister of State for External Affairs. The resignation came after as many as 20 women, including 19 women journalists who have worked with ‘The Asian Age’ newspaper, issued a joint statement on Tuesday extending support of their colleague Priya Ramani who has accused Union minister M J Akbar of sexual harassment. According to sources, there was a view in the government that the minister should fight the case in his personal capacity and not as a Union minister. Reacting to the development, Union Minister Ramdas Athwale called it a “right decision” by Akbar and said that proper investigation should be done against the charges levelled on him. “Opposition was asking him to resign on moral grounds. This is a right decision taken by him. The allegations on him should be properly investigated,” Athawale said. Akbar, in a statement, reiterated his claim calling the allegations against him as "false". On Monday, Akbar filed a private criminal defamation case against Ramani. After Akbar's defamation case against Ramani, another woman journalist came out on Tuesday with similar allegations against the Union minister.